The mayor of Plovdiv, Bulgaria’s second-largest city, says that he personally supports banning the burqa in public places but it will be up to the city council to decide on a proposed ban. 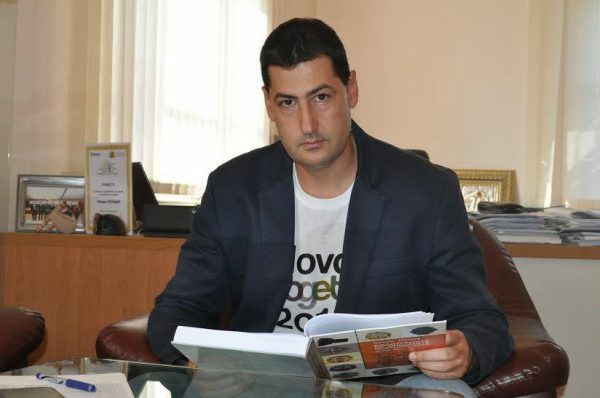 Ivan Totev, of centre-right party GERB – the majority partner in national government – was reacting to a proposal by nationalist party VMRO to be put to the next meeting of Plovdiv city council. Totev said that while his personal opinion was that there should be a step towards banning the burqa in public places, Plovdiv’s city councillors from GERB would decide on their stance after VMRO tables the wording of the proposed ban on the burqa. VMRO regional leader Alexander Sidi, who sits as a city councillor for the Patriotic Front, a nationalist coalition which backs Bulgaria’s Cabinet in the National Assembly, told local media that the step was being taken as two nearby towns, Assenovgrad and Pazardzhik, also were being presented with proposals to ban the wearing of the burqa in public places. Sidi said that his party had received “signals” that there were attempts to introduce radical Islam in the Roma neighbourhoods of Plovdiv. He alleged that this included a fee being offered for women to wear burqas. Given the rules of procedure for tabling proposals in Plovdiv City Council, it is expected that the VMRO proposal will be debated in the council chamber around the end of April. Sidi said that his party would put such proposals at municipal level across the country to stop people wearing burqas by passing local ordinances. Earlier reports said that the Patriotic Front intended tabling in the National Assembly an amendment to Bulgaria’s Penal Code to ban the wearing of the burqa in public places. At national level, Bulgaria’s Prosecutor-General, Sotir Tsatsarov, has said that it his “personal opinion” that there should be a ban on wearing the burqa in public places, in particular schools and other educational institutions.